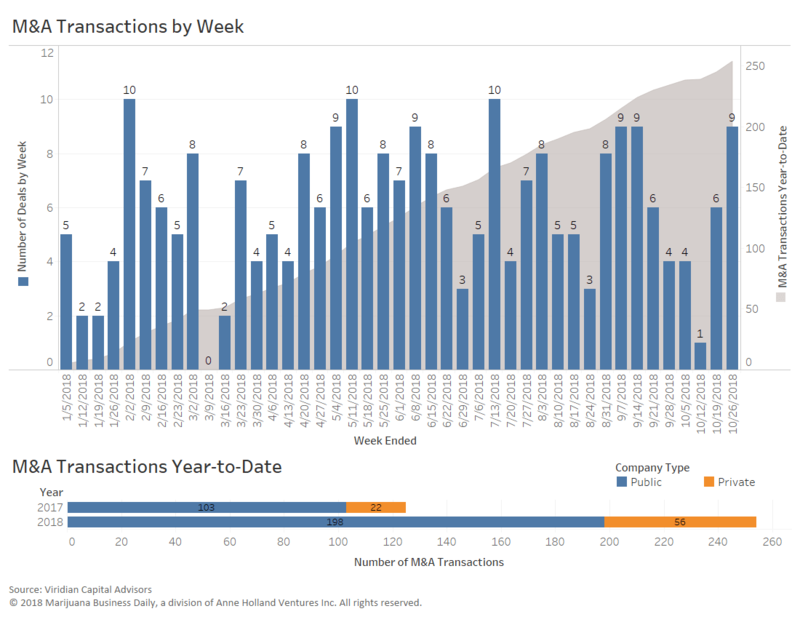 The data below, provided by Viridian Capital Advisors, is through the week ended Oct. 26. Among the top highlights: Cannabis firms have raised more than $2.2 billion since the beginning of October as investors shift their focus from Canada and ramp up activity in the U.S. Through Oct. 26, more than $8.2 billion has been invested in the industry this year. While U.S. companies have lagged behind the multimillion-dollar capital raises inked by Canadian firms, Massachusetts-based Curaleaf’s has moved the bar higher. 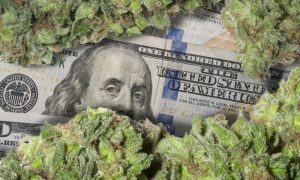 The firm closed a 520 million Canadian dollar ($396.6 million) raise – the largest to date in the U.S. cannabis industry. Despite the sell-off seen in public markets, this deal demonstrates continued interest in multistate U.S. operators, said Harrison Phillips, vice president at Viridian. “We’re going to see more investment activity in the U.S. as the political environment continues to develop,” he said. Cannabis technology also continues to draw investment. Metrc raised $50 million to develop seed-to-sale tracking software in a deal led by investment firm Tiger Global. “This deal clearly provides validation that the industry has come a long way in terms of the capital market environment and the investors that are moving into the space,” Phillips said. California-based infused products manufacturer Plus Products completed a CA$20 million initial public offering (IPO) on the Canadian Securities Exchange, a signal of a “slow but steady” shift away from the previous go-to of reverse takeovers (RTO) to access public markets, Phillips said. 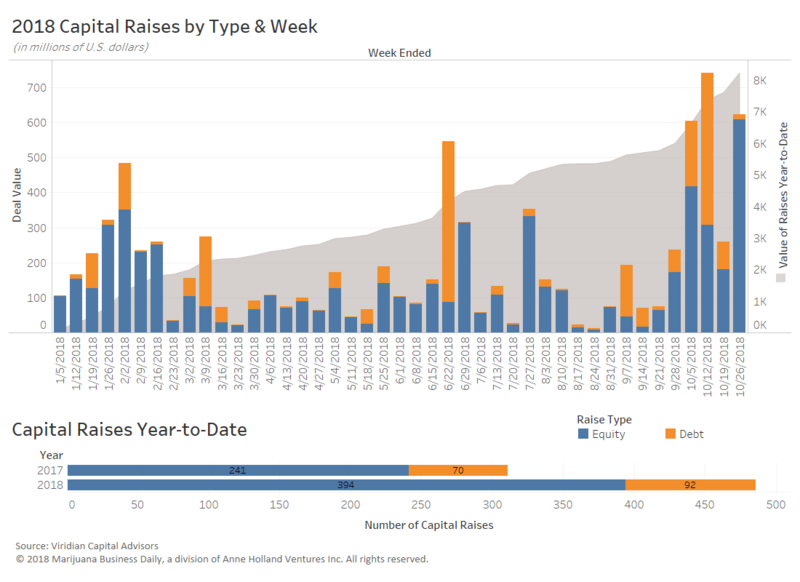 The successful capital raise also highlights growing interest beyond multistate operators. ICC International Cannabis Corp. acquired Polannabis Holdings, a Poland-based hemp cultivation extraction company. Europe’s cannabis markets have grown slowly to date, but interest is on the rise – particularly around hemp from Eastern Europe. “Europe is just a few years behind the U.S. and Canada, but I expect we’ll see a steady expansion of companies moving into the market because the EU has such a significant population,” Phillips said. Namaste Holdings continued its diversification strategy away from consumption devices and toward cultivation and extraction with its acquisition of a majority stake in California-based Infinite Labz. Namaste is planning to leverage that partnership to create dispensaries in Ontario.